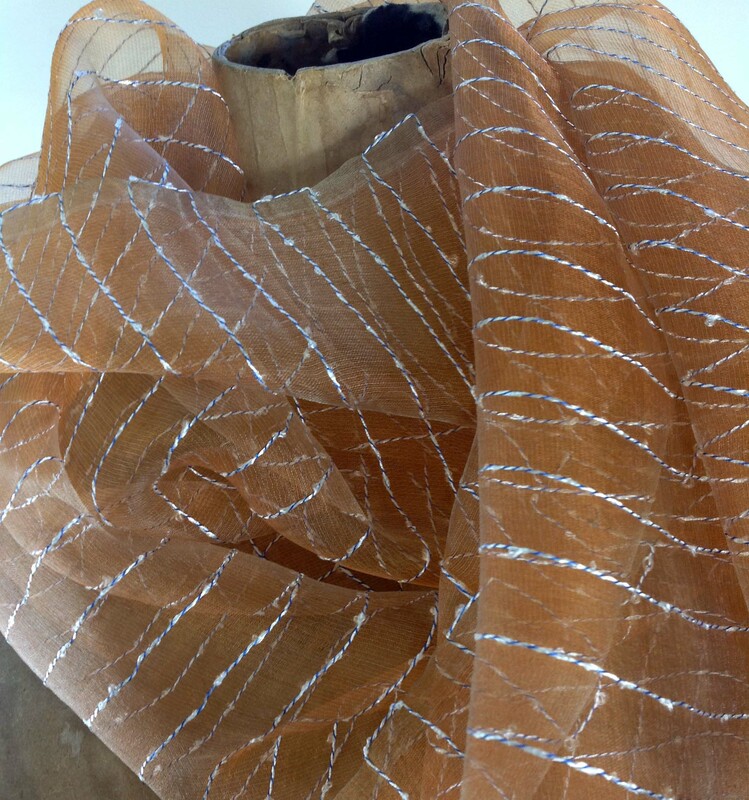 Copper-colored silk, with khaki trim and delicate white striping, marries contemporary style and traditional craftsmanship... perfect for a 50th birthday! 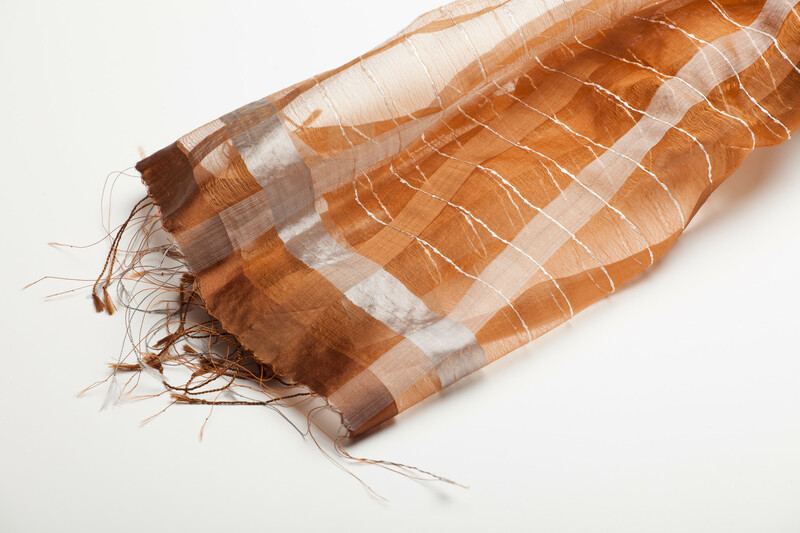 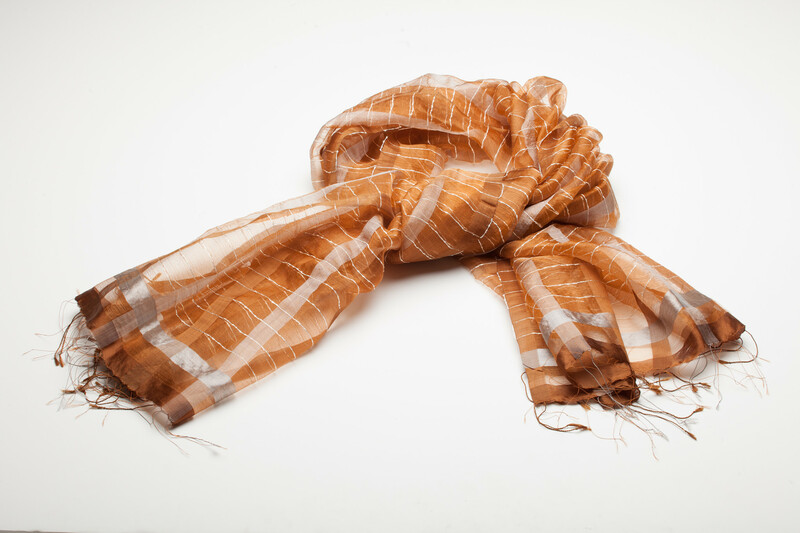 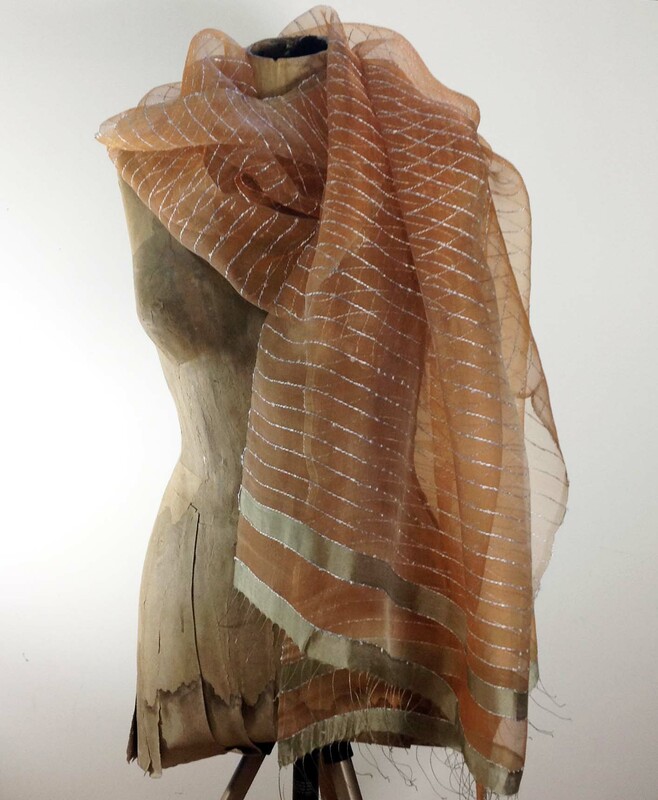 This shawl is woven using ancient techniques and imported by Indigo Handloom, whose mission is to preserve the handloom craft, reduce the environmental damages of the fashion industry, and create jobs in rural India in areas with little or no reliable sources of energy. 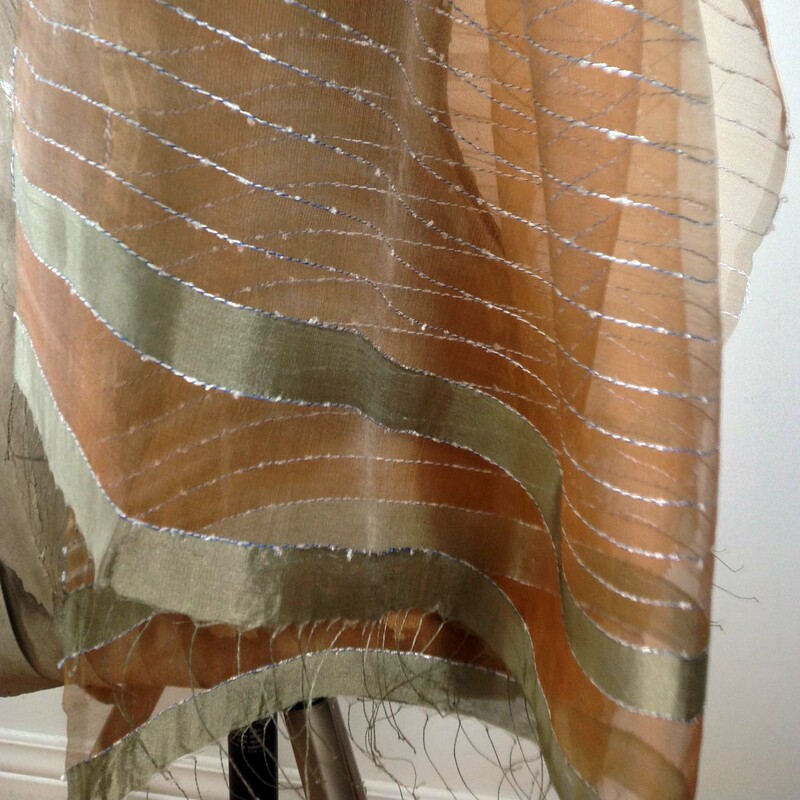 Shawl measures an extremely generous 32 inches X 80 inches.